The cryptocurrency market continues to follow a bearish pattern after last week’s rejection of a Bitcoin exchange-traded fund (ETF). Moreover, regulatory news from one of the vital virtual currency markets could have added to the negative sentiment currently shown by the crypto prices. Know more about the crypto scene this week in this Crypto Exchange August WK1 2018 Roundup. Markets as volatile as virtual currencies react explosively to unfavorable news. 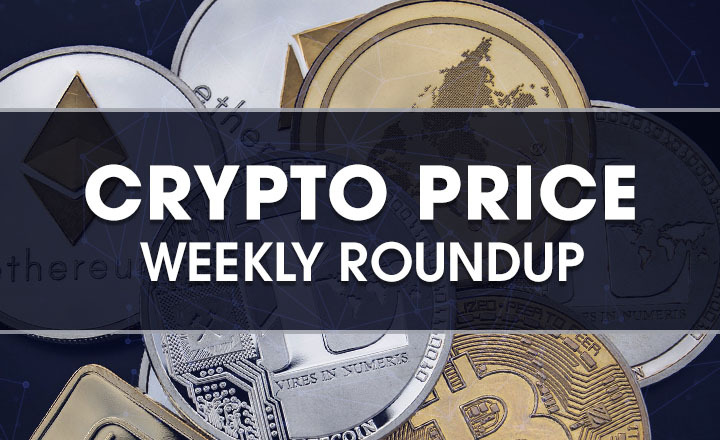 This week, the crypto market tanked heavily after a quick bullish run that might have been exacerbated by more regulatory news from the Korean peninsula. Enthusiasts consider South Korea as one of the most important crypto markets because of its trading volume. With that in mind, news about the Seoul government about to remove tax rewards from local crypto exchange platforms could have caused concern to some investors. However, observers were quick to suggest that South Korea’s priority is to secure a part of the exchanges’ extravagant revenue. According to one financial news outlet, removal of tax breaks would make exchanges liable to pay as much as 22 percent of their revenue to the government. Bithumb, one of the two largest exchanges in the Korean crypto scene, would be required to pay close to US$50 million in taxes. This report is just one of the many regulatory news coming out of the crypto scene as financial authorities try to keep up with the fast-evolving crypto market. Just last week, the US Securities and Exchange Commission (SEC) rejected a much-anticipated Bitcoin (BTC) ETF and caused the fall of most crypto prices all across the market. It has been 12 months since Bitcoin Cash (BCH) entered the scene. Disenchanted with the direction Bitcoin was heading, a group of developers forked away from the Bitcoin blockchain to release the year-old altcoin. Bitcoin Cash, they believe, is the real “Peer-to-Peer Electronic Cash System” envisioned by Bitcoin creator Satoshi Nakamoto. The developers continued to upgrade Bitcoin Cash, from increasing the maximum block sizes to including a smart contract option absent in Bitcoin. However, Bitcoin Cash has yet to dominate the crypto market. In fact, even during its birthday, the altcoin’s price continues to fall. Bitcoin Cash’s problem still lies in adoption. Even though the altcoin boasts faster transaction speed and cheaper transaction fees, its number of transactions on the network still pales in comparison with Bitcoin, Ethereum (ETH), and even Dogecoin (DOGE). 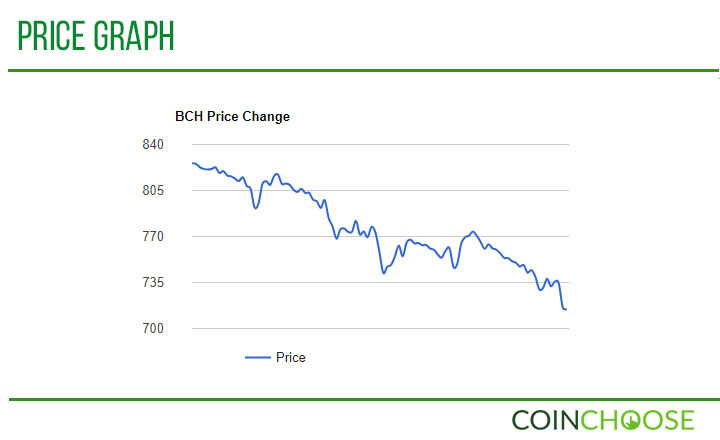 Bitcoin Cash continues to bleed as it lost 14 percent of its value during the course of the week, from July 30 to August 3. The altcoin’s birthday failed to bring significant movement to the market as it continued to slide down without highly volatile movements. The altcoin currently trades at US$712.36 against the US dollar. ‘Technical Factors’ Affected Bitcoin Price? While the Bitcoin ETF caused the price to fall last week, this time technical factors could be the major factor for this week’s drop, claimed professional trader Ilya Spivak. Working as a senior strategist for the Australian derivatives provider IG Markets, Spivak shared that the current trading pattern for Bitcoin indicated a bearish setup. The trader, in an interview with Business Insider published on August 1, predicted correctly that Bitcoin prices would continue to fall in the near future. He came up with his analysis by looking at the position of the company’s client traders with a contrarian’s eye. According to Spival, more than three-fourths of IG Market’s client traders are net-long in Bitcoin. The number suggests that a huge number of traders are bullish on Bitcoin. However, Spival sees the number as an indicator that Bitcoin faces a bearish future. Spival further mentioned that the fall in prices since February corresponds to a triangle consolidation pattern. Moreover, the critical support line remains around US$6,400, which could cause a drop to as low as US$5,000. Meanwhile, breaking the US$8,400 resistance level could push Bitcoin to a travel toward the four-zero price range. However, Bitcoin prices failed to smash through the resistance level as it rebounded back to the ground and lost more than 10 percent of its value in the week. After resting around the US$8,100 level on July 30 and 31, the price fell below the US$8,000 mark and wandered close to US$7,500 on August 1 and 2, before falling to its current value worth US$7373.17. Ripple’s Presidential Guest Stopped Some Losses? Famous personalities attaching themselves to cryptocurrencies excite the market. Experts note that some traders see celebrities as a symbol of legitimacy for something, especially after a flurry of celebrity-endorsed initial coin offerings (ICOs). So it is no surprise that the Ripple virtual currency (XRP) price experienced a quick jump hours after the company announced former US President Bill Clinton will headline its crypto and blockchain conference. On July 31, Ripple announced that the former head of state will serve as the keynote speaker for the Swell 2018 in California. Many gave credit to Clinton’s government for allowing innovation and preventing monopoly in the then-emerging internet industry decades ago through the Telecommunications Act of 1996. The former president will address the attendees before participating in the subsequent question-and-answer forum. This news could have explained how, in a couple of hours on August 1, Ripple shot up from US$0.427168 to US$0.458763. 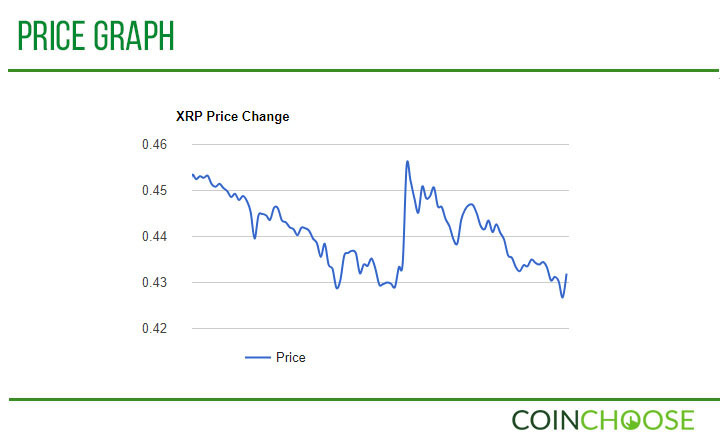 The jump helped mitigate some of Ripple’s losses on the bearish crypto market, which amounted only to close to five percent. 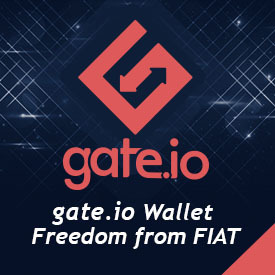 The third largest crypto, with a market cap of US$16 billion, is currently worth US$0.431156 per piece.